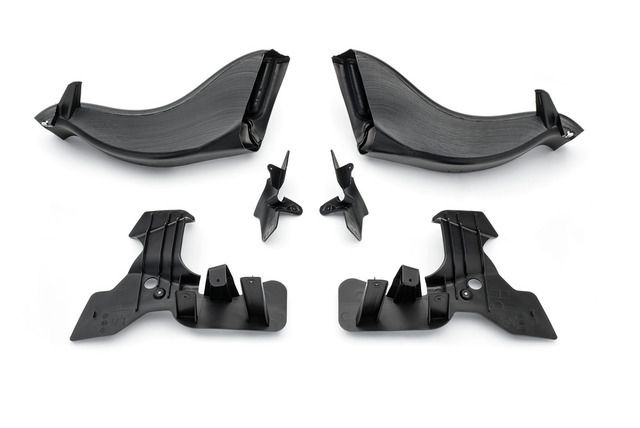 The available Z06/Z51 Front Brake Duct Cooling Kit for base model vehicles includes brake ducts and deflectors that transport air from the front grille through the wheel wells to effectively cool the front brakes and expel heat. This increases airflow by 16% (based of CFD analysis) to increase stopping performance by reducing temperature and brake fade. NOTE: Brake ducts performance is optimized when used with Z06 Grille Kit.